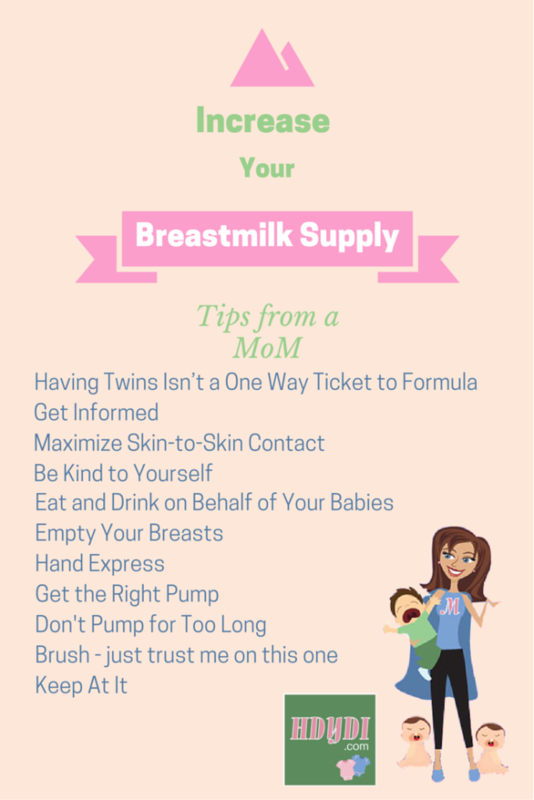 Increase Your Breastmilk Supply: A MoM's Tips | How Do You Do It? This is fabulous advice! Thank you for being willing to donate your extra milk. My girls were born early at 35 weeks, and due to bleeding complications, I could not start nursing right away, but desperately wanted to. Thankfully, donor milk was brought in from the Denver bank for my girls. This allowed me time to recover and still maintain my goal of no formula. It is giving mamas like you that make such a difference for mamas like me. casey recently posted More Momfessions. Su recently posted The Importance of Fine Motor Skills. Hope you are well. I am doing a clean on my blog and I found that I have a broken link on your page here. Please can you delete my broken link “The Importance of Fine Motor Skills.” post off your page for me. Thank you very much. It is very much appreciated. My word! 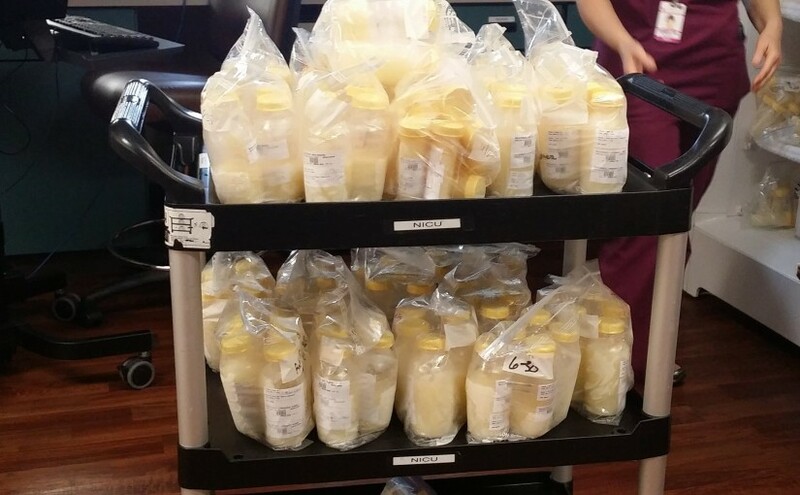 ‘Speechless’ is not an understatement … look at your milk stash at 15 days! Wowser! Well done woman. HARD WORK, DETERMINATION & PERSEVERANCE is so key, isn’t it, with pumping. What a treat for your twins, I’m so pleased for you. I haven’t heard about the brushing technique before, I’ll keep that in mind for next time. 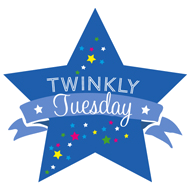 These are really fabulous tips and one that many mums will find helpful. “Your personal medical situation and many other things YOU CANNOT CONTROL will impact your ability to produce milk. Childbirth is a traumatic experience for your body. A C-section is major surgery. If you can make breastfeeding work, that’s great. If you can’t, that doesn’t make you any less of a mother.” – What a fabulous summary. When it comes to infant feeding and indeed all of motherhood, we must be kind to ourselves. There isn’t much more we can do when we’ve done our best and our best will vary and look different from mother to mother and from situation to situation! Such a an interesting and useful post. Amazing work keeping at it as you did. Also that picture is wonderful…that is an incredible amount of milk! And it’s great that you felt able and were able to donate it. It’s quite a tricky thing to do here, in my area anyway but can make such a difference to people. Another tip I’ve heard (linked to the skin to skin) to get the most out of a pumping session is to do it with something of the baby or babies near you…if you can’t do it with them in front of you that is…like a photo or a piece of clothing. It can really help some women get more from their breasts than they would otherwise. Thanks for the info! I’m a FTM with a 2 month old. I pump at least 30 min every 3-4 hrs (I only pump once overnight though) and am getting just enough to last him day to day. Would you recommend pumping (more often?) for only 15-20 min or pumping until I’m empty? I am also interested in a response to Courtney’s comment…after I had my first I was pumping for 30 minutes, it seemed like it took a long time to get empty, but I didn’t get as much as I’d hoped each time. Now pregnant with my second and I know pumping until empty will tell your body to produce more milk, but I’ve also read that people suggest pumping for a shorter amount of time than I did last time around…What if I’m not empty after 15 minutes? Do I stop anyway and just pump more often? Will turning up the pump suction help? I’m hoping to build a better supply this time, but I’m a little frustrated already thinking about last time and how it took forever for milk to stop flowing but it didn’t seem to boost supply to pump for as long as it took to get empty. I can’t say I ever had a super-great supply, but there were some things that helped me increase what I pumped. If I had the option to take a hot shower before pumping, I really saw a difference. The heat helps your let-down. Also, pumping while massaging helped immensely. And my LC told me to pump at least 15 minutes…or until I wasn’t getting any more milk. I’d generally pump another 3 or so minutes beyond the last drips to try to encourage more production. And drinks lots of water! I have a decent amount of experience pumping as I did it for all four of my children. That being said, the lesson I learned with my son was that I needed to rent a hospital grade pump to bring in my milk supply. 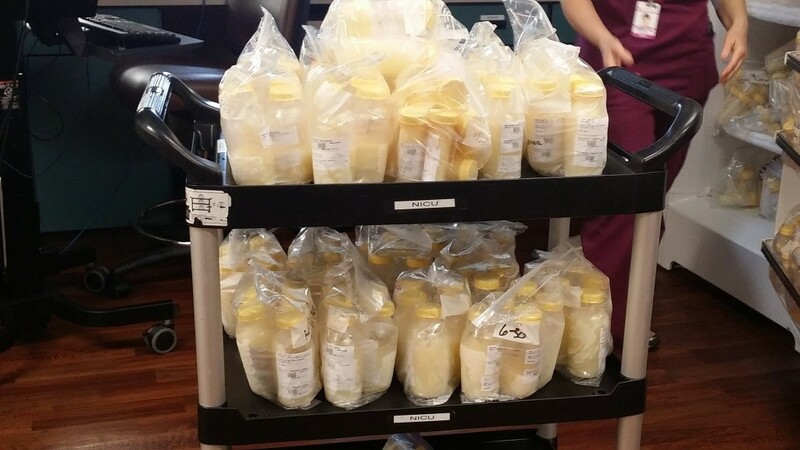 Typically if you nurse, your baby(ies) will bring in your milk fully for you, but if you pump exclusively for whatever reason, you will need a better pump than the one you buy at the store. Additionally, even if you have a great nurser, sometimes a hospital grade pump can give you the boost the two of you seem to be looking for. Even though my twins were able to nurse, I still rented the hospital grade pump for the first 3 months to really ensure that I was producing enough. You can rent a pump through your local hospital for around $50-75/month. My local hospital offered the lower cost if I rented it in 3 month terms. This may seem like a lot, but remember that the cost of formula is far more per month and the health benefits of nursing even one more day is SO beneficial (even from a financial standpoint due to the potential for lower healthcare costs). Also…and I cannot stress this enough…drink enough water and get enough sleep! I know this is hard…trust me, but water intake, sleep levels and stress levels are directly related to milk production. With my singletons, I drank 8oz of water as soon as I woke up in the morning, with every meal, and with every nursing/pumping session. With my twins, I drank over a gallon of water a day. If you are away from your babies when pumping, bring a picture of them to look at as looking at, hearing and thinking about your baby help release the hormones necessary for milk letdown. Most importantly…give yourself grace. You are doing a wonderful job. Every drop of breastmilk is precious and helps your child. Avoid beating yourself up about how you think you might be lacking as it doesn’t help your milk production and it flat out isn’t true. You are incredible. What you are doing for your baby(ies) is incredible.